AMC announced today it will premiere its upcoming new drama series Halt & Catch Fire on Sunday, June 1 at 10pm ET/PT. From AMC Studios, the series captures the rise of the PC era in the early 1980s, during which an unlikely trio - a visionary, an engineer and a prodigy - take personal and professional risks in the race to build a computer that will change the world as they know it. The 10-episode series is created by Christopher Cantwell and Chris Rogers and executive produced by showrunner Jonathan Lisco (Southland) and Gran Via Production's Mark Johnson (Breaking Bad, Rectify, Diner, Rain Man) and Melissa Bernstein (Breaking Bad, Rectify). Filmed on location in Atlanta, the series stars Lee Pace (Lincoln, Pushing Daisies) as Joe MacMillan, Scoot McNairy (Argo) as Gordon Clark, Mackenzie Davis (Smashed) as Cameron Howe, Kerry Bishé (Argo, Red State) as Donna Clark and Toby Huss (Cowboys & Aliens) as John Bosworth. In addition, Halt & Catch Fire will make its world debut this Saturday, March 8 at 11AM during the Film portion of the SXSW Festival in Austin, TX. An early screening of the pilot, held at the AMC Theater at Violet Crown Cinemas, will be followed by a panel discussion featuring Lisco, Cantwell, Rogers and select cast. Halt & Catch Fire is set roughly one year after IBM all but corners the market with the release of its first major product - the IBM PC. It is also the same year people realize the IBM PC's fatal flaw, which quickly makes personal computing anyone's game. In this fictional drama, a former IBM executive, Joe McMillan (Lee Pace) plans to reverse engineer the flagship product of his former employer, he forces his current company, Cardiff Electric, into the personal computer race. 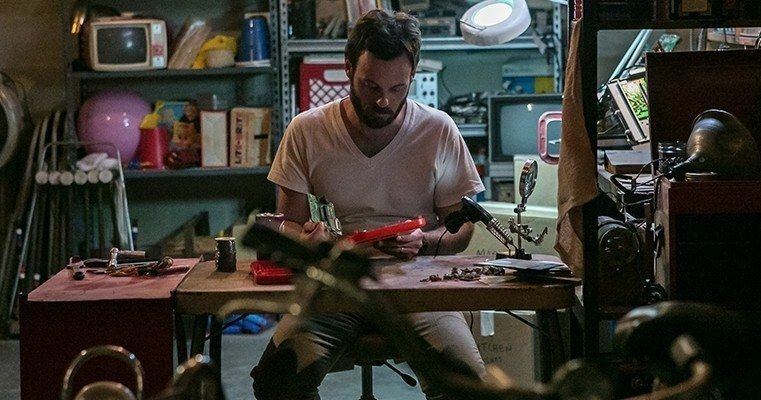 McMillan enlists the help of Gordon Clark (Scoot McNairy), a once great engineer who dreams of creating a revolutionary product while trying to manage his initially unsupportive wife Donna (Kerry Bishé), and Cameron Howe (Mackenzie Davis), a volatile prodigy who puts her future in jeopardy to join MacMillan's rogue PC project. While charting the changing culture of Texas' Silicon Prairie, tensions build within the group as they attempt to navigate the thin line between visionary and fraud, genius and delusion, and as their drive to do something that matters runs up against their ability to truly innovate. Halt & Catch Fire thrives on the spirit of innovation and explores what it's like to stand at the forefront of something truly great and world-changing and work towards it, no matter the risk.